Get the benefits of solar energy without the expensive up front investment. Savings of approximately up to 35% monthly on electrical costs. For those customers looking to own their system we have a loan program with Sungage Financial. Many questions come up each time we meet with new customers. The topics range from the process to the timing of installation. If you don’t see your question answered here please send us an email. Why is Electrical Licensing for Solar important? Aren’t Solar certifications just as good? According to the National Electric Code (NEC) … All phases of the solar installation are to be performed by qualified personnel. PV systems generate electricity, which is comparable to any other form of energy used to generate electricity. It should be designed, installed , and maintained by qualified trained electricians. It’s what we do and have done for years. It just makes sense that anyone that is going to be maintaining the future of the industry, should invest into having skilled workers that fully understand the safety of grounding and bonding of the systems. Who is RPS Inc. and what are your credentials? RPS Inc. is an electrical contractor licensed in the state of New Jersey. We install, repair and service all phases of the electrical industry in residential and commercial markets. We provide all phases of the Solar installation from State applications to permitting, engineering, installation, inspections, service, repairs and maintenance. What kind of insurance as well as licensing and bonding do you have? We are fully insured and bonded. 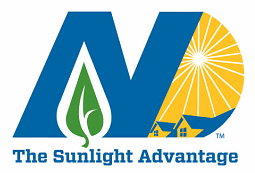 RPS holds a Home Improvement license in NJ and we have trained directly with Solar manufacturers to install their equipment the way it was intended. I really want to go Solar but I don’t think I can afford it. Is there anything you can do to help? RPS holds a contract to install for a NJ backed company that offers one of the best lease agreements in the country. This agreement entails they lease your roof for the installation and you reap the benefit of a substantial discount on your electric bill. In addition we have multiple lease and purchase options available and the great thing is all of them are usually available with no money out of pocket. Sungage Financial has the loan options to make your purchase more affordable. There seems to be a lot of new Solar Contractors out there. How do we know who to choose? Check to see if they have an electrical license. Some installers will tell you that you don’t need electricians to hook up the panels. The state of New Jersey and the National Electrical Code states that these panels generate electricity and should be installed by qualified personnel. Our installers are Electricians, trained in both electricity generated from power companies as well as electricity generated from solar panels. Check to make sure that the Solar company you are dealing with is an electrical contractor by trade. More and more companies from out of state are selling franchises here in New Jersey. This will give them some large buying power but doesn’t let you know everything about the installer. Be careful and research whom you contract with. SRECs are Solar Renewable Energy Credits that you receive as a result of generating 1000kW of energy from your purchased solar system. SRECs will be registered to you and you will be able to trade them. Here is an example of how many you can generate for your system. 10K system will generate about 12 SRECs.Lets use a $200 figure per SREC. $200.00 X12 =$2,400.00.That adds an additional $2,400.00 per year to either use towards the financing or apply however you want to. Suppose I need a new roof, can you handle it? Yes, we have a roofing contractor as well as a tree contractor to help serve you. They are reputable licensed contractors in their respective fields. They will be able to offer you special pricing as a result of our relationship with them. You are not obligated to use our associates but feel free to use them as another price quote.